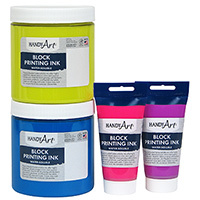 Our full bodied water-soluble Handy Art® Block Printing Ink offers highly pigmented, vibrant opaque colors and superior transfer tack. 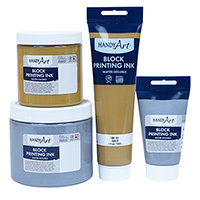 Ideal for block printing with linoleum, wood block, polyfoam and flexible vinyl plate. 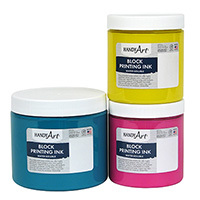 Available in a variety of rich bright colors including fluorescents and metallics. 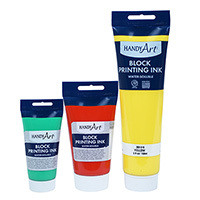 Handy Art® Block Printing Ink is certified AP non-toxic.